OPEC has agreed to cut 1.2 million barrels of its daily oil output, reducing its target production to 32.5 million barrels a day starting in January. 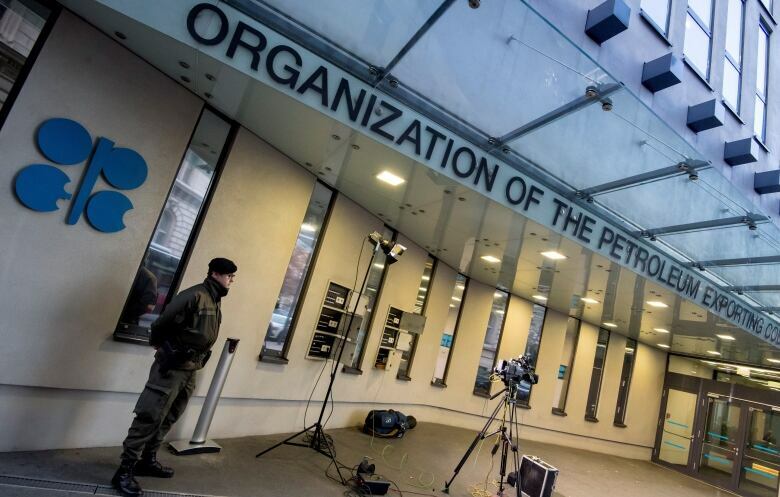 In an all-out effort to restore its faded clout, the Organization of the Petroleum Exporting Countries moved Wednesday to end infighting and agreed to cut output for the first time in eight years. Crude prices surged as a result. West Texas Intermediate crude was up 9.6 per cent, trading for $49.44 US a barrel at the close, after the oil cartel announced its plan to reduce production. OPEC president Mohammed bin Saleh al-Sada called it a "historic agreement." "This is a major step forward. and with my colleagues we think is a historic moment to come to this agreement that will help balance the market," he said during a news conference in Vienna. The 14 member countries had met for two days. Today's agreement is contingent on non-OPEC members agreeing to cut their own output by 600,000 barrels per day. Russia has already agreed to reduce output by 300,000 barrels per day and al-Sada said other non-OPEC sources would also contribute. Because it will not participate in the reduction, Indonesia has been suspended from the organization. After that decision, other OPEC countries took on the reduction that was meant for Indonesia, al-Sada said. ​Saudi Arabia shouldered the bulk of the cut, about 486,000 barrels a day from its output of 10.56 million barrels a day. A monitoring group with representatives of Kuwait, Venezuela and Algeria has been struck to ensure members adhere to the cuts. Iran, which wants to build its oil exports after recovering from years of sanctions, will be allowed to pump 90,000 more barrels a day, for a total of 3.7 million barrels a day. The agreement is in effect for six months. What about U.S. shale producers? OPEC had previously been reluctant to limit its production, fearing that U.S. shale producers would step in and produce more despite a huge glut of oil. The strategy has backfired, with oil falling to $30 a barrel earlier this year. 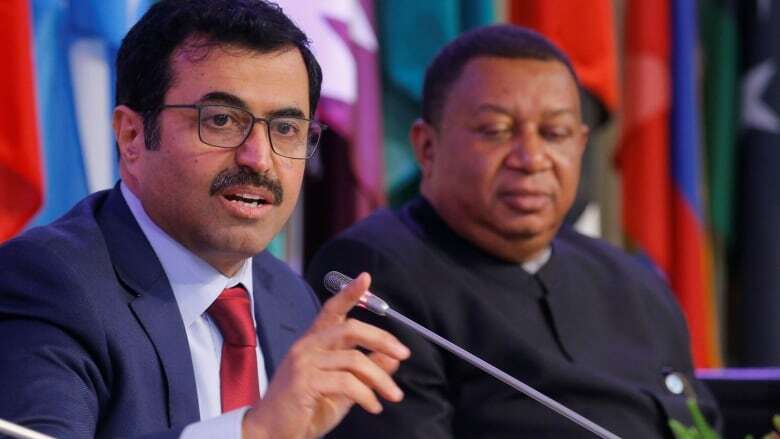 But al-Sada said Wednesday that OPEC doesn't fear the shale producers. "We don't see a threat from shale gas. They will make their own assessment, regardless of what we do," he said. With renewed discipline, such as expelling Indonesia and creating a mechanism to monitor oil output, OPEC is trying to reclaim its former influence on world prices. Al-Sada said its decision "means the weight of OPEC and the resiliency of OPEC is still there and it will continue to be there." 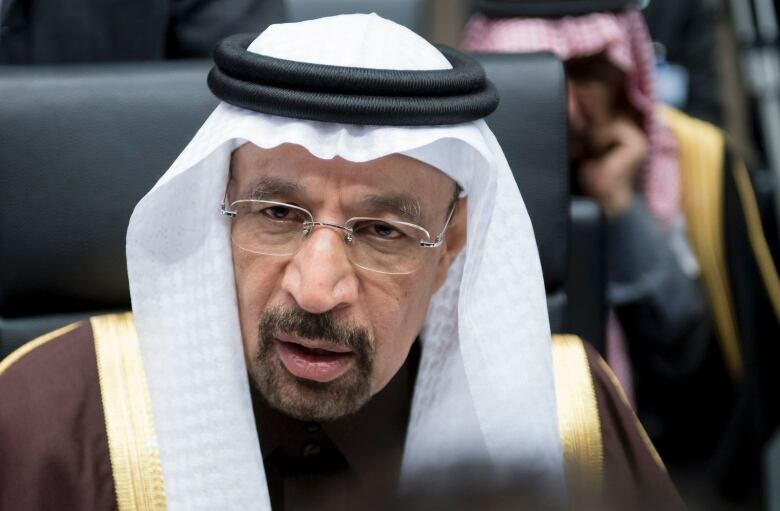 "Today's unity is a very explicit sign about the position of OPEC," he added. An OPEC decision to cut production could have an impact on consumers, as oil price increases feed into the cost of car fuel, heating and electricity. An agreement appeared distant as late as the eve of the cartel's meeting due to a rivalry between Saudi Arabia, OPEC's top producer, and Iran, whose struggle for dominance in the Mideast is also playing out in the Organization of the Petroleum Exporting Countries. The Saudis have been hesitant to shoulder the lion's share of a cut, while Iran has resisted reducing its production. It argues it has yet to recover its output levels hit by years of sanctions. The production cut is not expected to restore crude prices to the levels over $100 that a barrel fetched in June 2014, before increased output from the U.S. and other non-OPEC countries led to oversupply. Sal Guatieri, senior economist at BMO Capital Markets, said oil should rise to an average $53 a barrel next year. For the U.S. economy, that's "a sweet spot ... a high-enough price to spur investment in the energy industry but not enough to seriously drain purchasing power" of consumers, he said. "The losers are Europe and Japan — oil-importing regions of the world" with barely growing ecomonies, said Guatieri.